Step 1 Place the feta, cream cheese, 1 tbsp olive oil and the honey in a large mixing bowl. With the back of a spoon, press until the cheeses are softened and well-combined. Step 2 Add the remaining ingredients, 2 tbsp olive oil and gently combine. Step 3 Transfer the feta cheese dip into a serving bowl. Serve with your favorite bread or pita chips. Enjoy! 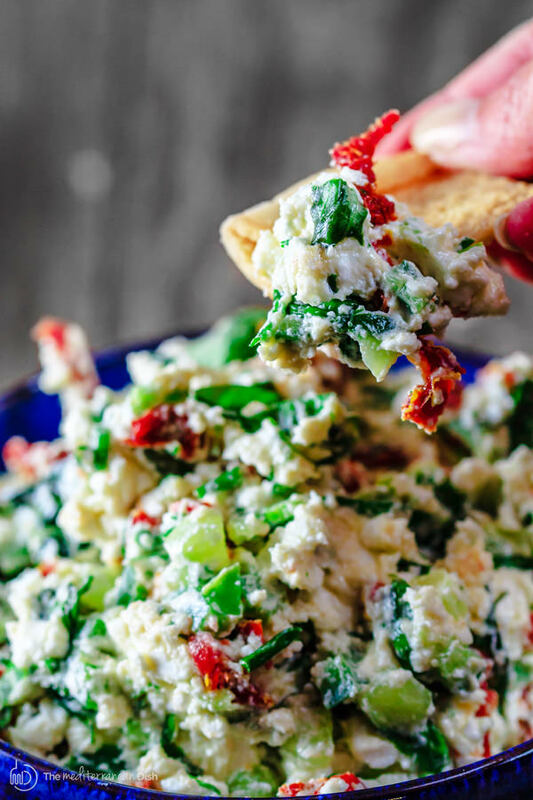 Here is an impressive, last-minute appetizer: Mediterranean feta cheese dip with fresh basil, chives and sun-dried tomatoes! A quick cheese dip that is ready in 5 minutes or so!